Next Generation CoolSculpting is now in Wellington Florida & it’s 20% off plus you’ll get $750 in FREE treatments! And when coupled with Z-Wave Acoustic Shock, we can enhance your CoolSculting fat loss results up to 60%. Get New CoolSculpting plus get Z Wave and Exilis Skin Tightening, a $750 Value, Free with your CoolSculpting treatment. It’s time for you to get the body you want & deserve. And now with The New Advanced Protocol CoolSculpting you can have it – And that’s Cool! Eliminate fat without downtime in Wellington Florida! CoolSculpting, the #1 Non-Surgical Fat Reduction Procedure in the World, is now a lot Better! New Next Generation Zeltiq CoolSculpting in Wellington can deliver the body you’ve always wanted. Now it’s 20% Off and you’ll get $750 in Free Treatments! Special Promotion - 25% off CoolSculpting Plus $750 in additional treatments Free! Simply fill ot the form below to Request a complimentary consultation or learn more about Next Generation CoolSculpting or . CoolSculpting has been the top non-surgical fat reduction treatment for almost 10 years and now it’s better than ever. With new next-generation machines and new applicators, CoolSculpting can sculpt your body like never before! 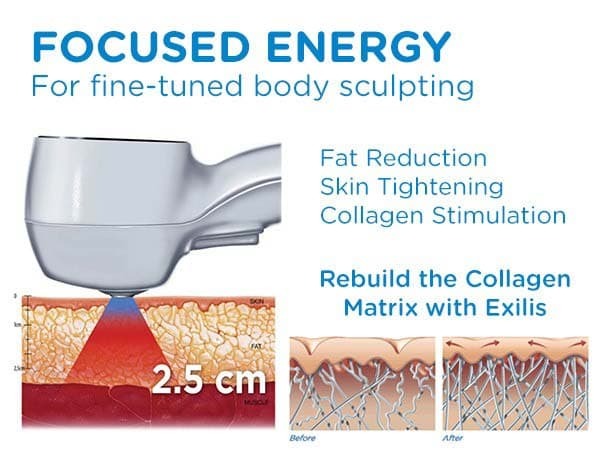 And what’s more, with Z-Wave treatment following CoolSculpting, fat reduction results can be increased by up to 60%!.1 Plus you will get a complementary Exilis Skin Tightening Treatment as well in 8 weeks to tighten up any loose skin after all that fat is gone! Next Generation CoolSculpting is here. There is no comparison between the new CoolSculpting and the old. Not only has treatment time been cut from 1 hour to 35 minutes but there are more applicators for more areas of your body. Additionally, the new CoolAdvantage can hold 2.5 times more fat than the smaller old applicators. Now with Free Z-Wave Acoustic Shock, we can speed the process up so you start to see your results in half the time and enhance your results so you lose up to up to 60% more fat. When you get CoolSculpting at New Radiance we don’t just do CoolSculpting and send you home. Immediately after CoolSculpting you will be treated with ZWave which CoolSculpting with ZWave is an advanced protocol that combines CoolSculpting with acoustic wave technology called ZWave. 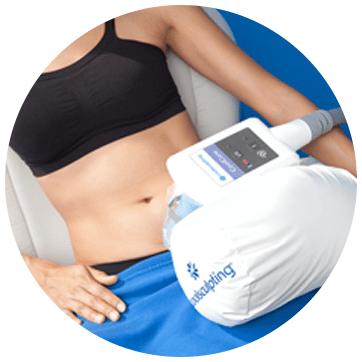 The ZWave treatment valued at $395 can dramatically improve the results of CoolSculpting while reducing discomfort and swelling post-treatment and letting you see results sooner. Grant Stevens, MD, a very famous plastic surgeon in LA who owns 9 CoolSculpting systems, reports patients who receive ZWave in addition to CoolSculpting have seen results up to 60% better than CoolSculpting alone. Studies have also been conducted supporting those findings (See below). New Radiance is the only CoolSculpting Center in this area providing the added ZWave treatment. 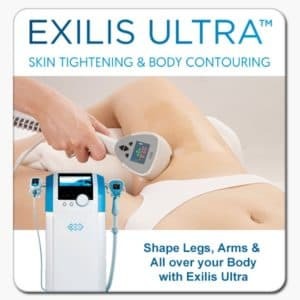 Exilis Ultra is the newest and most advanced, non-surgical skin tightening and tissue lifting procedure available. CoolSculpting does a great job freezing fat but it does not tighten skin. 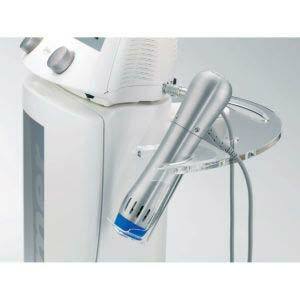 But when Exilis is added to CooolSculpting you get the best of both technologies and a tighter trimmer result. We treat you with this $399 treatment at No Charge, 8 weeks after CoolSculpting to tighten skin and further sculpt & tone the area. 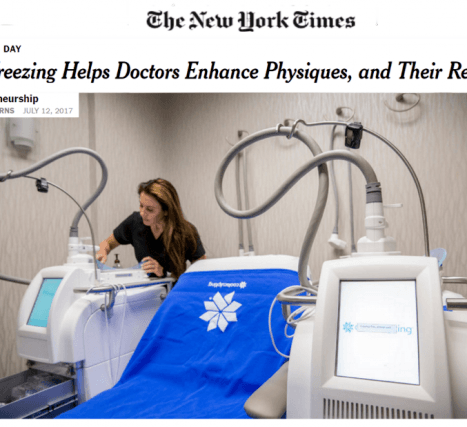 Real Self – 84% Zeltiq CoolSculpting Approval Rating! With Dual Sculpting (2 machines at one time) we can get you in and out in no time. Complementary Z-Wave treatment following CoolSculpting speeds results even faster and can increase fat reductions by up to 60%! CoolSculpting+ZWave is a comprehensive system that reduces stubborn fat safely and effectively, without needles, surgery or downtime. This innovative fat reduction treatment is the only FDA-cleared procedure to use controlled cooling to safely target and reduce diet- and exercise-resistant fat. The CoolSculpting procedure can reduce unwanted fat and bulges in saddle bags, inner thighs, love handles, muffin top, stomach, and most recently the double chin. New Radiance Cosmetic Center is the only clinic in the Treasure Coast area to offer Next Generation Zeltiq CoolSculpting treatments. If you’re ready to reduce stubborn fat or bulges, do not hesitate to contact us today to request your appointment for CoolSculpting in Sioux City, IA with one of our highly trained and certified CoolSculpting technicians! CoolSculpting + ZWave is an advanced protocol that combines CoolSculpting with acoustic wave technology called ZWave. 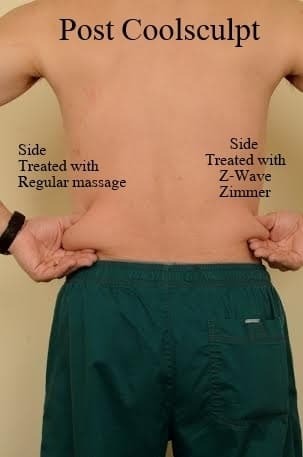 The ZWave treatment valued at $395 can dramatically improve results of traditional CoolSculpting while reducing discomfort and swelling post-treatment. Grant Stevens, MD, a plastic surgeon in LA who owns 9 CoolSculpting systems, reports patients who receive ZWave in addition to CoolSculpting have seen results up to 60% better than CoolSculpting alone. New Radiance is the only CoolSculpting Center in South Florida providing the added ZWave treatment. WHAT IS EXILIS SKIN TIGHTENING AND WHAT DOES IT DO? Although CoolSculpting provides excellent fat reduction it does not have a tightening effect on the skin. Exilis Ultra is the best skin tightening device on the market today* (as per awards below) and the industry’s only Non-invasive device to deliver both Radio Frequency and Ultrasound simultaneously. Eliminate fat without surgery with CoolSculpting in Wellington Florida! What is “Fire & Ice”? It’s a CoolSculpting and Vanquish ME Combo! Fire & Ice combines two of the best non-surgical, non-invasive fate reduction devices and is used for treating the abdomen and thighs. Vanquish ME is a non-invasive fat removal procedure designed to destroy fat cells using heat energy through radio frequency technology. 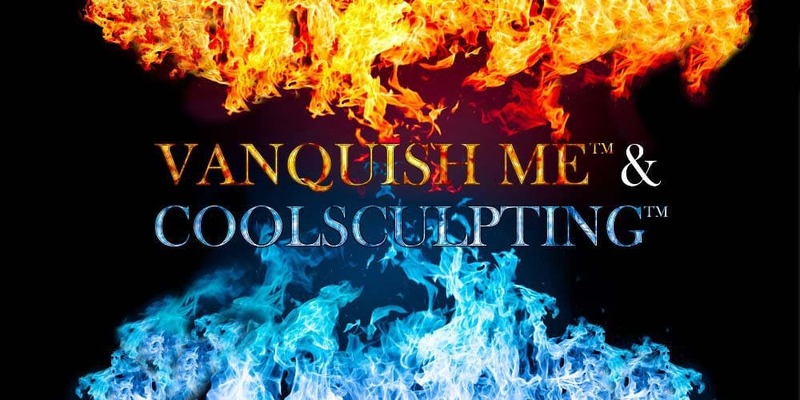 When used in combination with CoolSculpting the heat energy from Vanquish and the freezing technology from CoolSculpting provides for optimal body contouring and quicker results. We use a Vanquish ME and CoolSculpting Combo for even better outcomes than can be produced with a single technology alone. New Radiance Cosmetic Center is the only clinic in the area to offer Fire and Ice treatments.